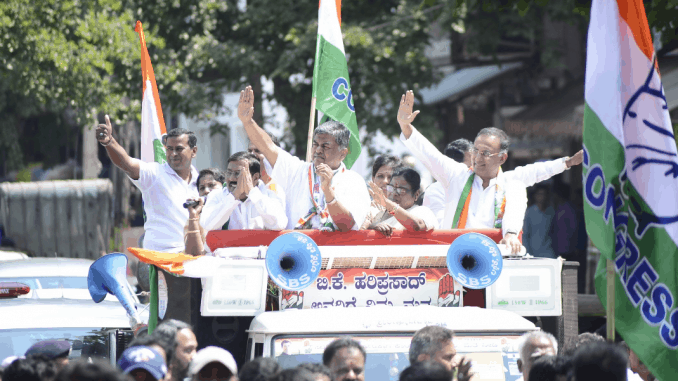 Senior politician and Rajya Sabha MP B K Hari Prasad is the Congress candidate for Bangalore South. He was considered a surprise candidate in the constituency where BJP was expected to field Tejaswini Ananth, wife of late MP Ananth Kumar. However, instead of Tejaswini, BJP has also fielded a surprise candidate, 28-year-old Tejasvi Surya, here. A resident of Malleshwaram, Hari Prasad has been a member of the Rajya Sabha four times – 1990-1996, 2004-2010, 2013-2014 (elected after Anil Lad of INC resigned, to take charge as Bellary MLA), and 2014-present. In 1999, Hari Prasad had contested from Bangalore South against BJP’s Ananth Kumar, and got 42 percent of the votes. Since 1980, he has been associated with many official bodies including the Karnataka Slum Clearance Board, Central Silk Board, Indo-Turkey Parliamentary Group etc at different times and in various capacities; find more on this here. 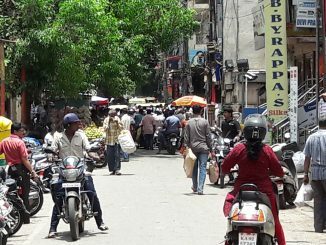 Speaking to Citizen Matters, Hari Prasad says that Bengaluru is a city of opportunities but many problems like unemployment need to be addressed. His agenda includes re-establishing the glory of Congress, where public sector had a role to play in employment and development. Prasad also plans to establish an international convention centre in south Bengaluru, get water for south Bengaluru from Mekedatu, and develop a green patch a la Lalbagh in Bommanahalli. 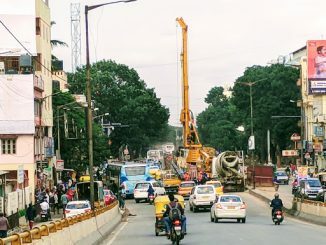 On the reduction of the green zone around Bannerghatta forest, Prasad said this was required since Bengaluru had to be expanded instead of allowing it to become congested (dense) like Mumbai. He feels his long tenure in Rajya Sabha will prove to be an asset. During his tenure, he had demanded an international airport for the city (in 1994), and been part of around 10 committees including those on urban development. He also claims credit for initiating 27 percent reservation for OBCs in higher education, and for passing 33 percent reservation for women in Rajya Sabha. Q: You started your political career as a student leader yourself… In 1980, Gundu Rao made a statement that all journalists should be thrown into the Arabian Sea which created quite a bit of furore. And on September 22nd, 1980, Youth Congress leaders actually locked the gates of Prajavani and Indian Express, didn’t allow papers to come out that day. What are the lessons you take away from that time? A piece of advice to youngsters from the lessons you learned about trying to curb the freedom of press? A: My political mentor was Prof Shastri, my principal in MVS College. In Youth Congress, we were part of a group including Mr Gundu Rao, a group comprising of secular forces. It’s long back and I have said it should not have happened and I regret that. The youngsters of this day should know it’s a free world. It’s the era of information technology, nobody can hide. Nobody can do anything behind the iron curtain, it’s open. They should feel free to (accept) criticism. In a democracy, there should be no hindrance for freedom of expression. Prasad was in the news recently for his controversial remark that the Pulwama terror attack had happened because of some sort of “match-fixing” between the Prime Minsters of India and Pakistan. In a recent interview to The New Indian Express, he said he was fighting to protect the Constitution. “My fight is to defend democracy and restore democratic institutions,” he had said. A Youth Manifesto event at IIM-B saw young voters preparing a manifesto with their concerns, and presenting their ideas to young BJP and Congress politicians. The candidate does not understand questions. He has prepared a set of inputs and is going about it. He is just beating around the bush with no concrete or tangible plans for South Bengaluru. God save us from such candidates. Strangely when I read about greenery in Bangalore from a politician, makes me laugh. No government in past 15years have taken any action to restore trees or greenery in Bangalore. This year the climate has changed drastically and Bangalore is hotter than ever. Especially when a leader from Congress government (which was in power for last term has done nothing towards restoring trees in Bangalore).